ECLUB: You let people know from the outset that your book is written from the design/Christian perspective, wont that put people off? PHILLIP DAY: Let the chips fall where they may. In fact, let me say this to everyone. If the words God, Noah, Flood, monkeyand creation offend you, dont buy my book! For all the rest whod like a look at the latest science on this most intriguing of subjects, buckle up for the ride. Most people are not stupid and can make up their own minds. ECLUB: Your new book is certain to stir up controversy. What was the chief reason for writing it? 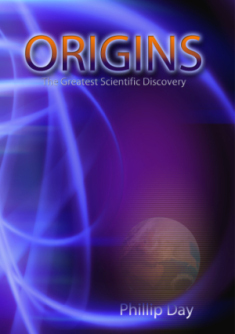 PHILLIP DAY: Origins has been simmering in the breach for around fifteen years during countless hours of travel and research, and there are in fact three books planned for the series. The evolution/design debate is fascinating for many people so I wanted to update the argument with the latest breakthroughs. ECLUB: Do you think the books controversial? PHILLIP DAY: Its bound to be, because were dealing with peoples beliefs, but that should not condemn the argument. Inevitably some will take offence. Its really not possible to breathe in the western world today without offending someone. ECLUB: Is Origins aimed at anyone in particular? PHILLIP DAY: Its for those who can still think for themselves and make up their own minds about the evidence. Its probably not for those who want to dispute facts, which is a waste of everyones time. By all means dispute conclusions, but a fact is a fact. For instance, when a whale is found buried upright on its tail in diatomaceous earth inland from the California coast, thats a fact. How we think it got there is about drawing sensible conclusions based on the evidence. PHILLIP DAY: Very much so. I also wanted to tackle the concepts of epistemology the study of knowledge, its limits and scopes, and why we believe what we do. Belief is intensely personal to people, which is why the current war between scientists over mans origins is so vital. ECLUB: Why should any of this matter? PHILLIP DAY: Because evolution underpins all science and not an inconsiderable chunk of modern civilisation; what we take as the truth. 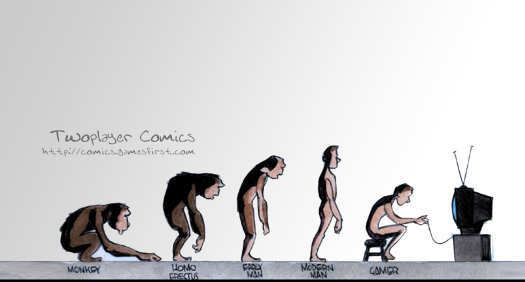 Evolutions the reason we use drugs instead of nutrition and continue to fail with cancer and other diseases. 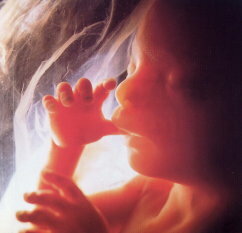 Evolution justifies euthanasia and the mass killing of the unborn with abortion. Evolution justified who lived and who died in the Nazi death camps. Stalins evolutionary beliefs resulted in the slaughter of the entire Polish officer corps and millions of the dictators own countrymen, never mind the enemy. Id say it matters. ECLUB: But religion kills also. PHILLIP DAY: No question. Millions have killed as a result of faith and still do, and thats the whole point. What do we base our faith on? Our worldview determines how we behave. Whether we kill. Whether morality exists and where it comes from. Whether we save the weak or let them go tumble in the great wash-tub of natural selection. 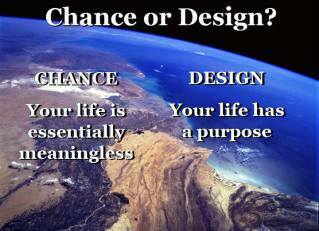 Are we here by accident or design? 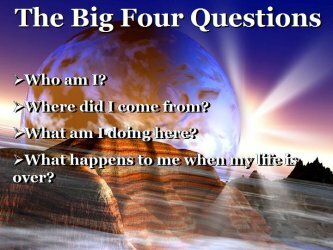 This one question galvanises our whole attitude to civilization and our place in it. Nietzsche declared: God is dead. God remains dead. 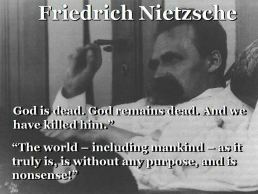 And we have killed him. According to German philosopher, The world  including mankind  as it truly is, is without any purpose, and is nonsense! Nietzsche bought into the same hopeless Darwinism our kids are being taught today; that life is essentially meaningless. Nietzsche died in an insane asylum, and today we have more kids on antidepressants than ever before. If you teach a child that life is hopeless and they are nothing but an animal, we should probably not be surprised when they start behaving like animals. ECLUB: So Darwin was wrong. PHILLIP DAY: Darwin brought forth his theory in an age in which the tools of modern science were unavailable to unhorse him. One look at the cell through the electron microscope after the Second World War, however, and evolution was finished. The reason the theory still clings on is because of evolutions concomitant religion of atheism. People simply choose to believe evolution, in spite of the problems, because the alternative is design and that is unthinkable. PHILLIP DAY: Because design means God and all the trouble he brings. ECLUB: So youre no fan of Prof. Richard Dawkins, the high priest of atheism. PHILLIP DAY: On the contrary, I found The God Delusion a hilarious read. Dawkins is scientifically wrong and he knows it, but hes stuffed so far down the evolution rabbit-hole now, he must come out, teeth bared, or vanish. 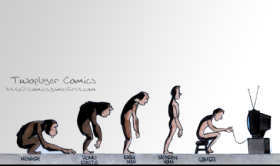 No-one has ever seen evolution happen, there are no missing links in spite of the comedy, and no science to back it up. So when someone like Dawkins or Attenborough tells you about something they have never seen, such as evolution or the Big Bang, they are giving you a theory or a belief. When they insist on teaching you this belief as fact, they are now priests pushing a religion. Believing a frog can turn into a prince over millions of years with no proof is not science, its faith. Real science pushes the envelope with facts without fear or favour of where the evidence leads. ECLUB: What are the main problems you have with evolution? PHILLIP DAY: Natural selection always reduces genetic information, never the reverse. 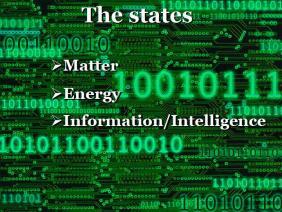 Secondly, evolution violates the two most basic laws of science  the laws of conservation and entropy. Thirdly, theres no proof whatsoever that one kind of life-form has ever changed into another. Im a farmers boy and Ill tell you for nothing, you can plant all the wheat you want and wait until hell freezes over and you wont get one hippo. What intrigues me is that Dawkins adopts the position of evolutionary atheism while admitting there could be design in the cell. Now thats weird. ECLUB: Richard Dawkins says what? PHILLIP DAY: Im afraid so. Its the way many evolutionists are getting around the most recent discoveries. 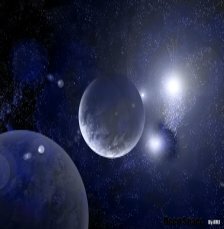 If theres provable design in the universe, then we must have been made by aliens. Any alien. Even a Sigourney Weaver one. Just not the God Alien. The problem with this view is that the design found across the macro, medial and micro structures of the universe is provably the same, which means no little green men running up some human pond slime in a space-lab. Whoever this designer is, he knows how to make a million galaxies and keep them in order while renewing the trillions of cells in your body and making butterflies. None of this can be done of its own accord. Whats most pernicious is that scientists have been losing their jobs simply for publishing the evidence. Thats not science. Thats the Inquisition. 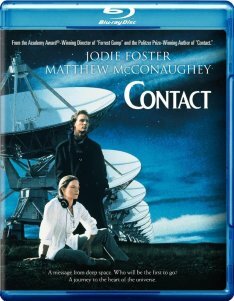 PHILLIP DAY: Did you see the movie Contact? ECLUB: Jodie Foster? Matthew McConaughey? Yes, loved it. PHILLIP DAY: The film is about a SETI (Search For Extraterrestrial Life) program monitoring radio transmissions from space. Notice that in real life, SETI programs have no problem using design inference as a tool to detect aliens. In other areas of science, design is THE tool. Archaeologists dig up artefacts and ponder whether they were formed by natural processes or human design. Forensics too is about design. Did the vicar fall or was he pushed? Detectives use design theory to uncover a felon perpetrating fraud on a company. Cryptographers have advanced training in design theory to break enemy codes, like Alan Turing did with the German Enigma Code during World War 2. In fact, theres only one area in the entire panoply of science where design is specifically excluded at the outset as a scientific conclusion, and thats origins science. ECLUB: Because it posits a theological inference. ECLUB: So youre saying theyve detected design and theres a cover-up because its God? PHILLIP DAY: Im saying theyve detected design and theyre staring down at their toe-caps like theres Bolognese on them. They dont know what to do. ECLUB: So my previous question. How do you detect design? PHILLIP DAY: Take Mount Rushmore. ECLUB: The American mountain with the presidents on it? PHILLIP DAY: Yes. 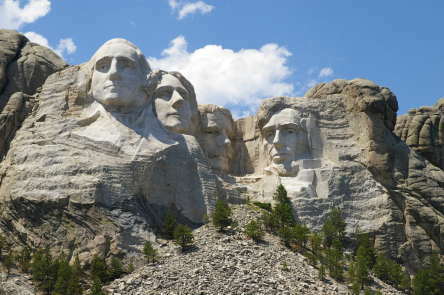 How do you know the four presidents were carved into the mountain by someone and not the result of endless erosion processes of wind and rain? ECLUB: Those are faces up there. PHILLIP DAY: OK. You have a predetermined specificity on what the human face looks like, so when you see a face carved into a mountainside or a block of wood, you have no problem concluding that someone carved it. PHILLIP DAY: If you were one of Carl Sagans aliens visiting the planet and did not know Mount Rushmore from a natural feature, you may note that the contours of the faces are anomalous, as are the rock formations around them, yet you have studied man from your spaceship for some time now and watched his TV transmissions, so you possess a predetermined specificity on what the human face looks like, with which we conclude that intelligence is at work in the construction of the rock-face anomaly. ECLUB: Ill go with that. PHILLIP DAY: All right. Now, what if Charlie Darwin didnt write On the Origin of Species, but a billion monkeys did, on a billion typewriters, and took billions of years to do it? ECLUB: Youd need to find the monkeys and typewriters to prove that was true. PHILLIP DAY: Precisely, and thats the problem with evolution. Theres no proof. They just tell you its true and youre supposed to believe it. Theyve come up with nothing. With design theory, you have to detect design beyond all reasonable doubt. ECLUB: Who decides what that is? PHILLIP DAY: Good question. Mathematician Dr William Dembski sets it at a whopping 1 chance in 10 to the 150th  a threshold he calls the Universal Probability Bound. This means that if a combination of events happens in the universe, and the odds of them happening by chance together are calculated beyond this figure (thats one chance in 10 with 149 noughts after it), then appeals to chance become unreasonable on the cosmic scale, and we can safely assume the events happened on purpose. ECLUB: Thats an absurdly large figure. PHILLIP DAY: They err on the side of caution. Theres something else. You can make a design inference without possessing any knowledge of the designer. For instance, we know the pyramids were designed without needing to know who designed them. ECLUB: So what have they found? PHILLIP DAY: That life on Earth is so vastly unlikely, it cannot have occurred by chance. 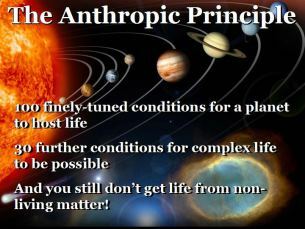 Over 100 finely-tuned but improbable conditions must exist for a planet to be habitable, then a further 30 precise conditions must be met before complex life can be possible, and all that still doesnt get you life from non-living matter in the first place. PHILLIP DAY: Way past dead duck. Biogenesis has been dead among honest scientists as a viable theory from the outset. And theres a further deal-breaker. First there was matter. Then we found energy. Now weve found information. This changes everything. PHILLIP DAY: Yes. If I take this pen and write Grandpappy was an orangutan on that piece of paper, notice the shape of my writing conveys information extrinsic to the ink and paper the words have been written on. The message means nothing to a gorilla, who might eat the paper instead of reading whats on it. You and I must agree on what the shapes of the words mean for language to convey information. You cannot communicate language without specificity, and you cannot produce information like language without an intelligence. And that means a mind. And that means a person. ECLUB: So youre saying that every time we find information in nature, an intelligence produced it. PHILLIP DAY: Precisely. Crick, Watson and Wilkins became famous for finding information in the form of a highly advanced, three-out-of-four error-correcting code on DNA, which manufactures every protein in our cells. We have something like 40-50 trillion cells in the human body. Not only that but every other creature on the planet has the same signature within it. 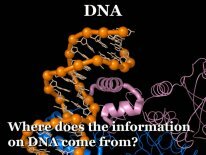 Bill Gates famously remarked that DNA is like a software program but much more complex than any weve been able to write. Professor Stephen Meyer says that the challenge of the chemical evolutionary theorist is to explain the origin of that biological software without reference to a programmer. Thats the problem. Were finding information. Everywhere. ECLUB: So thats the The Greatest Scientific Discovery. PHILLIP DAY: Yes. That were not alone, and this can now be concluded scientifically. If it helps, no confirmatory evidence is more convincing than that of a hostile witness. When even Richard Dawkins concedes that a designers signature can be found in DNA, our next questions must be: Who is the designer? What does he want? Dr Chuck Missler says we are solidly in the realm of information science here. Since the designer has the technology to create us, he certainly has the technology to get a message to us  has he ever done so? And if so, how would he validate the message so we would know it was from him and not an imposter? ECLUB: Youre assuming the designers a he. PHILLIP DAY: Like I said, the books controversial. ECLUB: You say provable design. Can we prove design? PHILLIP DAY: Perhaps the first question to ask is, Why would we want to?"